It’s good that President Duterte is going after these tambays. They’re so unsightly! I mean, what are they doing out in the streets anyway while the rest of us are at work or doing something productive?? Some of those who defend the “right” of these guys to be eyesores on our streets say it is because unemployment is high in the Philippines which is why there are a lot of idle people who just, well, make tambay. Well, hello, maybe cracking down on this yucky activity of making tambay (if you can even call that an activity!) will, at least, contribute a solution to unemployment! Some parents kick their kids’ asses into action whenever they see them just lazing about at home. My guess is that the parents of these tambays are, themselves, slackers. As they say, the bayabas does not fall too far from the bayabas tree. Or maybe the parents of these misguided youths (although I see a lot of middle-aged men with big pot bellies among them) are, you guessed it, overseas foreign workers or OFWs. Ayun, chalk another one up for the ill effects of OFWism on our society! Whether it’s slack parenting or absentee parenting (in the case of OFWs), one thing’s for sure, the boot up the asses of these tambays needs to come from someone. And I am happy to see that Duterte is up to the task of supplying that boot. I find it weird that these libertards are defending these tambays and making it look like making tambay is some kind of right or entitlement. They say that only because it is their nemesis, the President, who is behind the initiative. But then, on the other hand, it is these same liberals who will say that “men are dangerous in packs”. Well hello! Again! If you libertards haven’t noticed, most tambays come in packs — usually noisy packs holding bottles of beer or shots of cheap ginebra. Talk about selective feminism. First you demonize groups of men then you defend these groups of men on our streets who are obviously not up to any good. Men in groups are more likely to wolf-whistle girls, so I can understand these “feminists” who demonize “groups of men”. So guess what: groups of men who make tambay are even more likely to wolf-whistle passing girls — specially when they set-up their drinking tables right on the sidewalk. One time I not only had to get off the sidewalk but take a detour across the street just to avoid a group of tambays in the middle of a drinking spree at five in the afternoon! And get this — even from across the street, they wolf-whistled me anyway. It’s SO simple. Kelangan talaga dyan sa mga tambay ay TADYAKAN. A group of tambays is a crime waiting to happen, so maybe more proactive policing of our streets is a good way to reduce even further the country’s crime rate. Get them off the streets before they get up to no good, kung baga. The math is simple. Who is more likely to commit a crime at nine in the evening, a nineteen-year-old loitering outside? Or a nineteen year old watching TV at home? Isip isip naman dyan, because the solution is SO obvious. Can someone tag Dong Abay about this post? I remember an incident many years ago. A young girl from school has to pass a row of squatter colonies before she could reach home was daily subjected to wolf whistles and vulgarities as she passed by the tambays. Fed up and scared she informed her parents about it and they immediately complained to their city mayor. Early morning the following day, there was a commotion in the colony. The cause? Digong was there admonishing their elders or else…and such incidents never ocurred again. Hayyy… I wish someone would do the same to my parents’ neighborhood… ???? Good article. The tambuay culture is probably one of the worst things about the Philippines: it’s responsible for all sorts of social ills, and it’s the thing that foreigners inevitably notice and comment upon. It’s the reason Filipinos are viewed as lazy: a visible minority (or is it a majority?) of them actually ARE, and they take pride in it. I’m not sure if Duterte, all by himself, can fix the problem of tambuays. It’s not just something that arises from poor parenting, because what other people would call “poor parenting” is here considered normal and correct. Proper policing could help, but who’s going to police the police? I’m sure there are some good cops – in fact I know for certain that there are – but on the average, they’re not exactly the most reliable, upright members of society, are they? As I’ve said before, the only solution to this sort of thing is brainwashing. Kids are already brainwashed in school to be liars, thieves and layabouts, mindlessly supporting the oligarchy. They need to be brainwashed instead into having a sense of responsibility to themselves and to society, and not merely in the narrow sense of giving money to their lazy parents or to the government. And then people are gonna say it’s hard to teach kids manners nowadays while Duterte is president. That doesn’t make sense because this tambay culture and the overall bad manners of Pinoys have been around for so long, since time immemorial. HI Kate. Been a while. This blog will piss off some people. Because it is true. The unproductive who not only do not contribute but just add to the liabilities of society. While it may be okay not to pay taxes because of one’s present situation it is criminal to have zero aspirations to pay taxes ( nation build) at some point in the near future. None of these protesters care to move on and instead just sit there , make babies and have their hand out. Just live life entitled. On one hand these tambay kind of look like pre-colonial Filipinos who went around in attire appropriate for the climate. I guess you can say these tambay mirror the true character of Filipinos stripped of their colonial influence. We have to reconcile this with the Western attitudes that feed modern debate. I think that’s where the liberards fail. Sobrang off-the-shelf yung rhetoric nila, which is why it is not effective. My sentiments exactly, Kate, on one reason for Filipino behavior. That’s a great one to trigger die-hard Filipinists too, saying that our bad attitudes are left over from pre-colonial days, because that’s an affront to the “superior Filipino blood.” On the western attitudes, one of them is why being a tambay is bad: if you’re not productive, not working, and you keep asking stuff from people, it’s the equivalent of stealing. Our culture hasn’t accepted that because it’s countered by saying we’re so kawawa, so oppressed that the other nations “owe us.” But that’s one of the ploys just to rip off other people. And saying mendicacy is like stealing will also trigger the “kawawaists,” and make them riot probably. And still one of the things that keep our society in the pits. It baffles me that Filipinos justify this sort of behavior with all kinds of excuses. Filipinos are often surprised to learn that all countries (including ‘rich’ ones) have tambays. I grew up in a dirt-poor neighborhood where 50% of the inhabitants were ‘tambays’ – and this was about 50 kilometers from one of the richest cities in Europe. What shocked me on arriving in the Philippines was the sense of familiarity: everything that Filipinos are, I recognised from my childhood, which gave me a slight advantage over the average naive foreigner (i.e., mostly, I didn’t get cheated, abused, and ripped off – at least once I accepted the reality of the situation). The difference is this: in Europe we look down on tambays as parasites, as a social problem that needs fixing (the right and the left have different views on HOW to fix it). In the Philippines, it’s considered normal, or even admirable, to be a tambay. People actually aspire to be lazy and live off the earnings of others. The vast majority of civilized countries consider this despicable behaviour: the response would be something along the lines of, “don’t you have ANY self-respect?”. When is being a tambay in the Philippines admirable? “Kawawaists”, lol! That’s a good one, Chino. That seems to summarize the culture of shaming people not perceived to be “doing something” about the plight of the poor. Are the poor in a “plight” nga ba? Maybe that’s the more important question to ponder. You don’t go too far, to see this bad behaviors of some of us. Some Filipinos are just , “Tambays”; drinking in groups along the streets; loitering aimlessly on the streets., doing nothing…Or Filipino women, picking lice on their hair , like monkeys, doing some , “tsimis”. If you really want to improve your life; there are many things you can do, in your 24 hours cycle. Some Filipinos are dependent on other members of their families, who are better off. So, some just become Parasites or freeloaders, while other members of the family work. I believe that the “Tambay Culture”, is a bad culture in our country. It encourages : “freeloader mentality”…Our mindsets must be improved, to make us responsible people and useful citizens of our country. I am happy that , Pres. Duterte is doing something about it. Arrest those Tambays, and let them work in uncultivated lands in our country, or do some productive works, as their sentences. 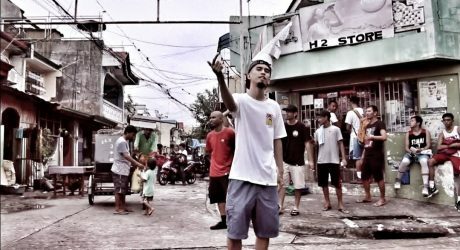 Dependence, or “bloodsucking” on others, is really a bad habit, culture and trait of some Filipinos. Some husbands, let their wives become OFWs, while they become , Tambays. So, the children, whose models are their parents, become Tambays, also when they grow up. It is a vicious cycle, that needs to be rooted up! There’s merit nga in that idea. If they won’t work then maybe the solution is to MAKE them work. ???? Yari ka sa mga magulang na OFW. TINARANTADO MO SILA. TRYING HARD KANG PA ELITISTA. Putting a “Fatwa” on my head by those lazy husbands of OFWs, will not solve the Tambay problem in our country…they should be ashamed of themselves : PARASITES ! Sana isama na rin ang mga Tambay sa West Philippine Sea! Well ate K sure hit this one hard. We need more people with zero (not maximum) tolerance for ugliness in this country – if we want to at least come close to looking like Singapore (clean, orderly, disciplined). About the wolf whistling – though being a complement and affirmation of someone’s attractiveness/beauty, it is offensive and threatening. Duterte himself may need to tone it down if he wants the rest of his flock to behave with decency. But then, maybe he doesn’t. “Libertards” – thanks for coining; we should probably use that more often. Yeah, we have to purge the “kadiri” not just from our streets but from our society and make the Philippines KADIRI-FREE! So the solution is to lock them up? Why not focus on social programs to make them productive members of society? Pag kinulong mo mga tambay mawawala na ba ang problema? Root cause kung bakit tumatambay ay dahil walang ginagawa, walang trabajo or choice… pero pag binigyan mo ng mga bagay na mapagkakabalahan ang mga yan baka sakaling umayos ang pamayanan…. just saying…. You’re on the right track actually. So I can go over to propose that the reason “walang trabaho” is because supply exceeds demand. So the statement “walang trabaho” is not entirely accurate. There is work, there’s just too many Filipinos for the work available. – Stop making it SO DAMN DIFFICULT for businessmen to start businesses and employ people. – Stop encouraging the culture of victimhood and dependence. These two problems are combined in the recent hoohah over contract workers. According to the government, the employer has to be a father-figure, caring for the employees like helpless children. But why should they? If employer and employee want to sign a short term contract, that’s their own affair. Now, you might argue that the employee is under duress, and that’s true; but again, it’s not the employer’s fault, it’s the government’s, for suppressing the economic activity that would give employees more freedom of choice. I would say there’s not much hope of redemption for 30, 40, 50% of the tambays because they’re fundamentally unemployable. They’re just horrible people who you wouldn’t want around you. Not sure what you can do with them, but I’m sure there’s something a bit more humane than locking them up. There’s just something fundamentally wrong when we say there aren’t enough jobs, when there are so many problems that we need to work on. When it takes a millionaire to correct an electoral fraud- to uphold the right to decide for ourselves, what does that tell us? Maybe we’re all tambays in our refusal to deal with our own. dapat nga pinapatay na lahat ng mga tambay, walang kwenta buhay nila. Dapat ba talaga? Kung kaya mo, eh di gawin mo! kiko grew up in Loreto street, Sampaloc, Manila.